Megan began training dogs as a young teenager. Her dog was considered difficult and she struggled to get suitable advice. This started her on a journey to educate herself to become a better trainer. 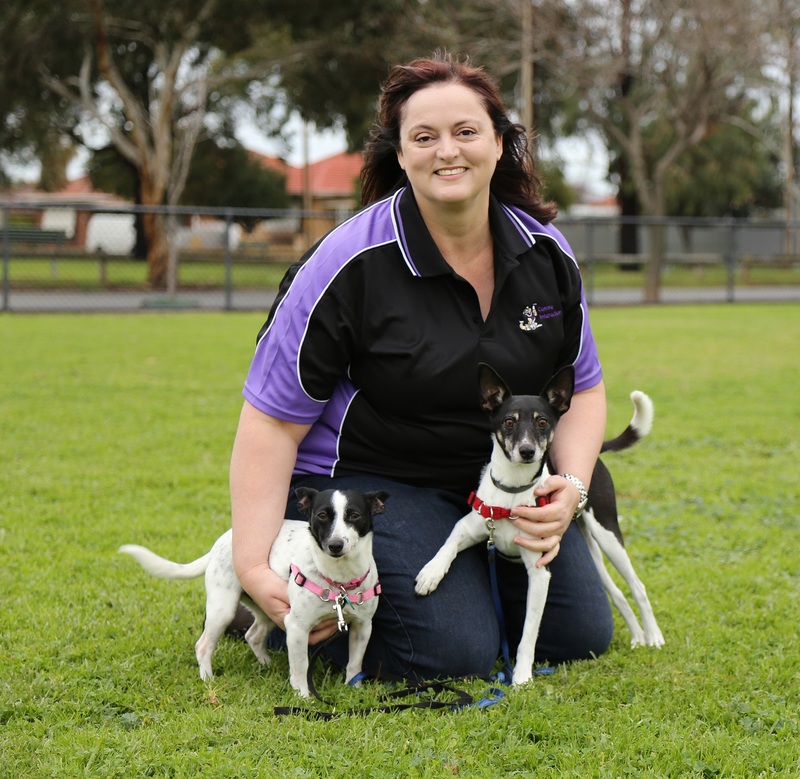 In 2002 she commenced her Certificate IV in Behavioural Dog Training through the Delta Society of Australia. Completing in 2003 she was hired by the Holdfast Dog Centre to run classes and implement a force-free training program. In 2005 Megan started her own training business, Canine Interaction. 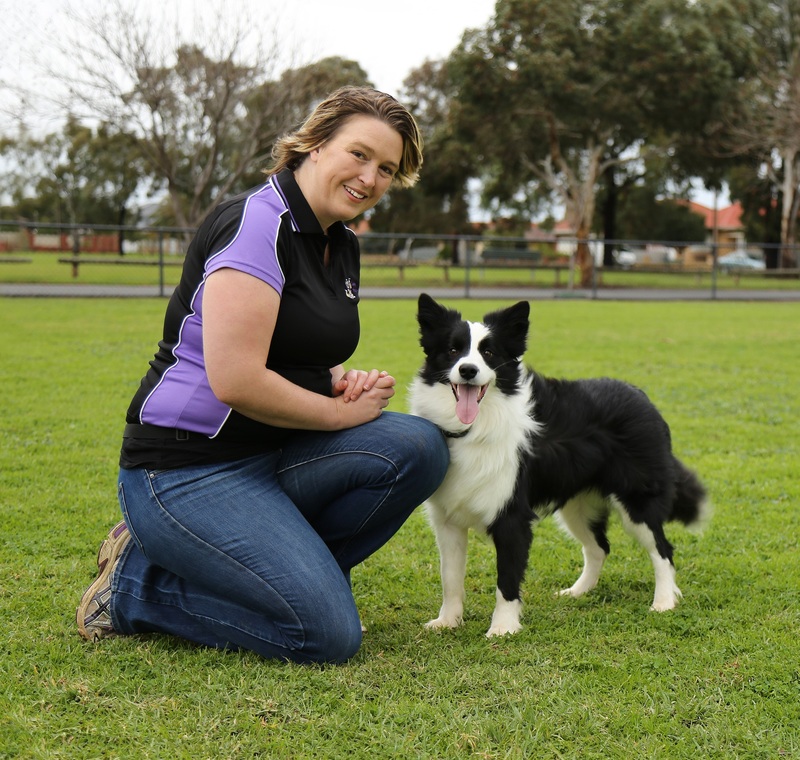 Placing a huge focus on continued education Megan attends the Association of Pet Dog Trainers (APDT) Australia conference every year, is a licenced Family Paws Parent Educator and participates in online webinars when available. Megan has just welcomed her first child into the world, Mackenzie, born in April 2015, providing lived experience of introducing dogs to babies. She has 3 dogs, Darcy a 15yo Staffy, Flynn a 11yo Border Collie and Araya a 2yo Border Collie. Megan has competed in Agility over the last 16yrs and enjoys the experience of participating in sports with her dogs. Hayley joined the training team in late 2013 after she and her partner completed all of Canine Interaction’s training courses with their first puppy, Ollie. Hayley has a Bachelor of Psychology (Honours) and found the training methods and concepts matched consistently with her behaviour science and psychology knowledge. She enjoyed training so much she stayed on to help teach others and further her skills. 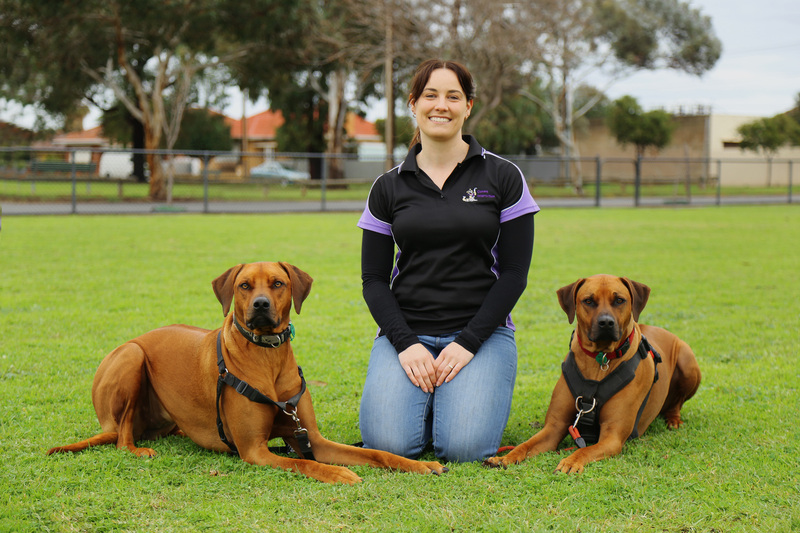 Hayley now has two Rhodesian Ridgebacks, Ollie (4 years) and Kya (3 years), who provide their fair share of training challenges. Their unique needs have developed her interests in anxiety and stress in dogs and behaviour modification in particular. However, she is always looking at new information and is building a motley library of knowledge on training techniques, behaviour theories, and dog-to-dog and human-to-dog interactions too. She loves in-depth learning and enjoys reading the latest research, watching tutorial videos, and attending conferences, seminars and professional development webinars on dogs in her spare time. She is a member of the Association of Pet Dog Trainers (APDT) Australia and Pet Professional Guild (PPG) and attended the APDT conference for the first time in 2015. The rest of her life is taken up by the final stages of her PhD on human behaviour and working in the not-for-profit sector. You’ll typically see Hayley taking level 2 and 3 classes on Wednesdays and Saturdays. Andrea is currently on leave, we hope to see her back soon. Andrea has been with Canine Interaction since 2010, firstly as a client training her two dogs Angus & Coco, then as a trainer with the club from July 2012. Angus is a 5 year old Smooth Fox Terrier cross who has been a family member since puppyhood, and Coco is a 6 year old Mini Fox Terrier (or Tenterfield Terrier). She was adopted from the Animal Welfare League in 2012 at approximately 3 years of age. Aside from the dogs, she is also mum to 7 cats (yes, the crazy cat lady) and is a sucker for all creatures furry or feathered. Outside of dog training, Andrea has a full time job in finance within the manufacturing industry, and is currently studying towards a Diploma in Accounting. Once that’s completed she can focus on her goal of undertaking a Diploma in Animal Behaviour and Science Technology, as well as other dog training developmental courses. In the meantime she is a member of the Association of Pet Dog Trainers (APDT) Australia, and attends regular conferences and seminars. She is also getting quite a collection of dog-related training and behaviour books in her library. Her particular area of interest is in behaviour, both in cats and dogs. In case she’s not busy enough, she also runs a small home-based business called Just for Mutts, baking training treats and biscuits for dogs. These are available at all our training classes. She loves her work as a trainer, and finds helping people and their dogs to develop healthy and happy relationships to be extremely rewarding.